Slashphone has reviewed the Nokia 6111. This mobile phone features voice dial/memo, calendar, games, built-in handsfree, video - up to 60 min recording at normal quality, 3gp and MP4 playback, 64 polyphonic/mp3 stereo ringtone and vibration. Audio SMS, MMS, email. 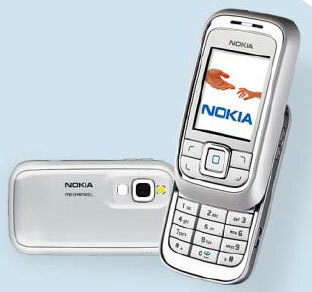 Push-to-talk, 1 megapixel flash camera with 6x zoom, Mp3/Acc music player with audio equaliser.